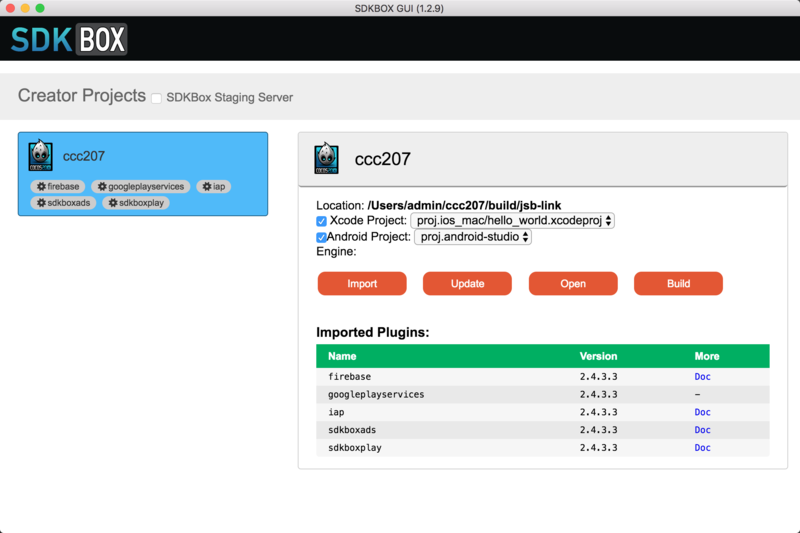 D/SDKBOX_CORE: Loaded 0 tracking info _elements. D/jswrapper: Debugger listening…, visit [ chrome-devtools://devtools/bundled/inspector.html?v8only=true&ws=0.0.0.0:6086/00010002-0003-4004-8005-000600070008 ] in chrome browser to debug! V/AsyncHttpClient: Beware! Using the fix is insecure, as it doesn’t verify SSL certificates. D/cocos2d-x: In the constructor of HttpClient! This request is sent from a test device. W/Ads: Invoke Firebase method getInstance error. Let us ask @yinjimmy to take a look at this. 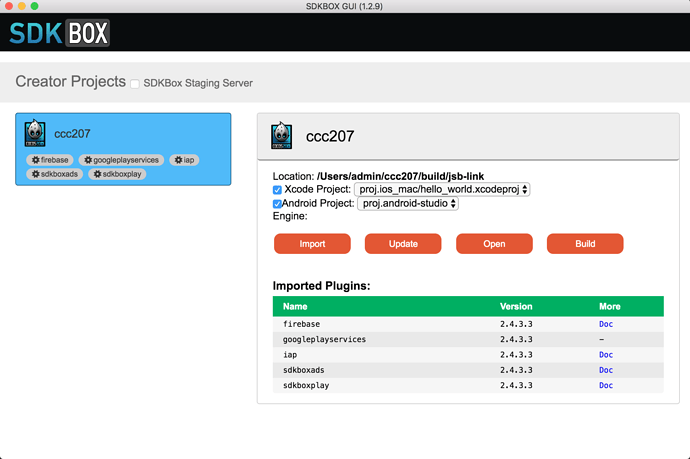 what sdkbox plugin do you use? Ads  I  Use AdRequest.Builder.addTestDevice("3C2AA5810654DE5351FB66C3F53A424D") to get test ads on this device. cr_LibraryLoader  I  Expected native library version number "71.0.3578.99", actual native library version number "71.0.3578.99"
what’s your dev env and SDKBox plugin version? could you like to share a test project with me?